Dover first-year student Autumn Gourley selected as a 2019 INBRE Summer Research Scholar. Join us at Admitted Student Night! We encourage all prospective students and their families to join us at an Admitted Student Night. Northern and southern Delaware ceremonies scheduled to celebrate graduating AAP students. AAP students partner with community members to create unique, meaningful work of art in Wilmington's Creative District. We are pleased to welcome AAP Wilmington alumnus Wisdom Mills-Owoo to our April Launchpad event! Mills-Owoo will be speaking about his experiences as a software engineer at JP Morgan Chase. Wilmington's Admitted Student Nights are information-sharing events for prospective Associate in Arts Program students and their families. Faculty, staff, and AAP alumni will be present to discuss the program and answer questions, and light refreshments will be served. The Baby Grand is located at 818 N. Market St., Wilmington, DE. Join us as we celebrate the success of our Georgetown and Dover students at the Southern Delaware Convocation Ceremony! All graduating students are invited to attend both their campus's Convocation ceremony, as well as the larger Commencement ceremony in Newark. Convocation ceremony for the Wilmington AAP campus at which individual student achievements are recognized. All students are invited to both their campus's Convocation ceremony as well as the larger Commencement ceremony held in Newark. The Baby Grand is located at 818 N. Market St., Wilmington, Delaware. Renee Myers, a 2016 graduate of the Associate in Arts Program in Wilmington, earned her Bachelor of Science in Health Behavior Science from UD in 2018. In early 2019, she was accepted into the Doctor of Physical Therapy program at Widener University. Renee is currently a rehabilitation technician at ATI Physical Therapy in Wilmington. She credits her current position at ATI for allowing her to meet other inspirational and intelligent women in the physical therapy field. "They have taught me so many useful skills that will enable me to be a better physical therapist once I finish graduate school," she says. Renee says the AAP's smaller class sizes proved to be beneficial for her as she pursued her education, and she appreciates the individual support she received from both faculty and staff. "The program was beneficial to me because it allowed me to take critical and challenging math and science courses in a smaller, more intimate setting," she says. "I also wanted to thank the advisors and professors, including David Satran, for encouraging me to study abroad and to push myself." Gloria Soto, a 2015 graduate of the Associate in Arts Program in Wilmington, is pursuing a bachelor's degree in nutritional and medical science at UD and is on track to graduate in 2020. Upon obtaining her bachelor's degree, Gloria plans to attend graduate school, with the ultimate goal of a career in medicine. 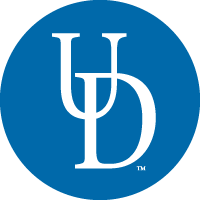 Gloria was recently accepted to the 2018-2019 cohort of the UD McNair Scholars Program. McNair Scholars conduct research in their field of interest with a faculty mentor, who will assist with the completion of a 10-week summer research internship and provide guidance throughout the student's graduate-school application process. In addition to her academic and research pursuits at UD, Gloria is currently working as a receptionist at UD Health Services' Science, Technology and Advanced Research (STAR) Campus in Newark. She is also an active member of the Air National Guard, serving as a radio frequency technician. After receiving her associate's degree from the AAP in 2015, Nadisha Downs chose to major in Human Services as she pursued her bachelor's degree at UD's main campus. She went on to become a McNair Scholar and Summer Research All-Star with UD, was selected as a CAMRA Fellow with the University of Pennsylvania, and was one of only two undergraduates invited to present at the National Association of African American Studies' conference in Durban, South Africa in 2017. Downs credits the AAP for helping her find her path toward service and scholarship. "The Associate in Arts Program was an integral component of my academic journey. Without having experienced the many commitments, struggles, proud moments, and unconditional support of a few AAP professors/faculty in the program, I would not be the dedicated student and scholar that I am today," she said. Currently, Downs is a housing/independent living case manager for emancipated foster-care youth at Wilmington's historic West End Neighborhood House. "I love making a difference in the lives of others," she said. "Even more, being in a position to work closely with emancipated foster-care youth has been extremely rewarding. Being able to see and reflect the challenges and growth of all my clients makes my heart smile, knowing that I played a role in helping them get where they are today and will be in the future." Read more about Downs' experiences as a scholar and community advocate in UDaily. Zoë Read, a Delaware reporter for WHYY in Philadelphia, is a 2009 graduate of the Associate in Arts Program in Wilmington. While pursuing her bachelor's degree in Newark, Read served as the managing editor of the features section of The Review, the University's student newspaper. After receiving her bachelor's in English from UD in 2011, Read went on to earn a master's in journalism from Columbia University in 2012. While at Columbia, her story "Harlem's Hidden HIV Epidemic" was featured in The Atlantic. Prior to joining WHYY, Read worked for The Capital newspaper in Annapolis, Md., winning awards from the MDDC Press Association for her work in arts and culture, health, environmental and public service journalism. Her freelance work has also appeared The Detroit News, The Kansas City Star, and the online version of The Atlantic. Economic Developer; Owner, 8th Avenue Collective Group, Wilmington, Del. ​"My experience with the AAP created a long-lasting foundation for me. During my time there, it taught me not to rush into anything, and take my time getting to know myself. The AAP gently introduced me into college life, instead of having to be thrown in to a whole new world without the tools to succeed. I do not believe I would have been as successful had I gone straight to main campus. Because of the program, I was better equipped to handle UD's colossal main campus as well as see familiar faces from time to time. I really liked how some of the students in the program, including myself, became close and helped each other out once on main campus. We were sort of like a family — meeting at Morris Library to study, the dining halls for meals, Trabant and Perkins to hang out, and much more. Since graduating from the program, I went on to continue my studies on main campus as a Health Behavior Science major and Public Health minor and graduated from the University in spring 2016. After graduation, I started interning and working in one area of my studies as a (drug and alcohol) prevention specialist, and I also started a business. Currently, I am working full time as an economic developer for a local community development corporation and running my business, 8th Avenue Collective Group. It is a creative agency for local artists, makers and doers in Wilmington that provides resources, connections, and a platform to create and showcase. My experience with the program was so life changing, it convinced my younger sister to attend UD, but do the AAP first!" ​​​Delano Smith, an alumnus of the Wilmington campus, received his associate's degree from the AAP in 2014. While continuing his education at the Newark campus, he minored in Spanish and legal studies and worked as a teaching assistant for Dr. Ivan Sun's Problems of Policing class. In the course of earning his bachelor's degree, Delano also interned with the Delaware Division of Youth Rehabilitative Services, which provides detention, treatment, probation, and aftercare services to Delaware minors who are referred by Family Court. In spring 2017, Delano completed the Delaware Dept. of Correction's nine-week Correctional Employee Initial Training program (CEIT). He joined 16 fellow correctional officers in receiving a DOC assignment and taking the oath of office at the CEIT swearing-in ceremony held in July 2017. Casey Osmundson is a proud 2007 graduate of University of Delaware's Elementary Education program. She started her career teaching fifth-grade students in the Smyrna school district, and is now teaching as a Social Sciences adjunct on the DTCC Owens campus, where she first started her journey as an Elementary Teaching Education (ETE) student in the AAP. Osmundson continues to use much of what she learned from UD in her daily teaching practices, working to engage her students in the classroom and helping them connect with their community through charitable service. While at UD, Osmundson served as a tutor for the Social Sciences department. Now that she is an instructor, she continues to mentor many of her students, helping them overcome both personal and academic challenges so that they can work to their full potential and find success in their schooling and future careers. Thomas Cody Prang received his Associate in Arts degree from AAP's Wilmington campus in 2010. He received his Bachelor of Arts in Anthropology from UD in 2012 and is currently pursuing his Ph.D. in biological anthropology at New York University. Prang is now affiliated with NYU's Center for the Study of Human Origins and the New York Consortium for Evolutionary Primatology. His research has been published in The American Journal of Physical Anthropology, Scientific Reports, and the Journal of Human Evolution. Tianna Hutchins, a former student of the Georgetown campus, graduated from the AAP in 2013. Since then she has earned a B.A. in history from Lee University and is currently in the history M.A. program at American University. Hutchins' area of interest is primarily in U.S.-Soviet relations and the perceptions and stereotypes each society held of the other. In addition to taking graduate classes, she is also working in the U.S. Department of State as a case assistant in the Office of Children's Issues dealing with international parental child-abduction cases. "I feel that the Associate in Arts Program helped me transition from high school into the rigor of collegial studies because of its closeness to home," Hutchins said. "But, more importantly, I value my time spent in the program because of the wonderful, brilliant faculty and the nurturing environment they provide that enables students to grow." ​Rony Baltazar-Lopez is a 2014 graduate of the Associate in Arts Program in Dover. Demonstrating the drive and determination for which he would become well known, Rony earned his associate's degree in a mere 1.5 years, a full semester earlier than most AAP students. He majored in political science at the Newark campus and participated in UD's domestic study abroad program; during the Spring 2017 semester, he completed a full-time policy practicum and served as a legislative intern for Sen. Tom Carper, which he describes as "the best decision of my life." Rony shared his experiences in D.C. on the UD Abroad Blog, where he detailed his experiences leading Capitol tours and meeting everyone from House Speaker Paul Ryan to the President of Honduras. Rony returned to Delaware to serve as Hispanic Programs Coordinator for the Delaware branch of the National Alliance on Mental Illness (NAMI), then returned to D.C. to rejoin Sen. Carper as a staff assistant, where he is responsible for handling phone calls, emails, and personal visits from Sen. Carper's constituents, attending briefings, assisting legislative staff, and leading White House tours. He also continues to serve as NAMI Delaware's Public Policy Advisor. Rony is currently applying to law school and plans to continue his work in public service. ​Jonathan Garcia, a 2013 alumnus of the AAP, earned his associate's degree in 2013. He is currently majoring in electrical engineering at the main campus in Newark and is also working as an electrician. A talented musician, Jon credits the AAP for both fostering his love of music and helping him discover his passion for engineering. "The AAP was a great experience for me — being at home while also close to college, meeting many people, and making friends," Jon said. "It helped me figure out what I really wanted to be. Although the AAP itself doesn't have an engineering program, it made me realize what I was capable of doing, besides having talent in music. The AAP helped develop the other hidden potential in me: electrical engineering." Jon expects to earn his Bachelor of Electrical Engineering degree in fall 2017. ​Samantha Constantine, an alumna of the Georgetown AAP campus, earned her associate’s degree in 2013 and a Bachelor of Arts in History Education from UD in 2015. She went on to earn a master's in world history from UD in 2017, and in 2018 was accepted into the graduate program in history at James Madison University, where she will pursue a doctoral degree. Sam plans to teach history and hopes to inspire students the way her teachers and professors have inspired her. "The AAP pointed me in the direction of my history major, which I would not have discovered otherwise," Samantha said. "It introduced me to people who continue to inspire me every day." Jessica Carpenter is a 2013 graduate of the Associate in Arts Program in Georgetown. After earning her associate's degree at the AAP, she continued her education at Palm Beach Atlantic University in Florida, earning a Bachelor of Arts in Graphic Design in 2015. She is now an established graphic designer and customer consultant for a Delaware-based custom apparel company. Jessica writes, "Even though my end goal of a BA in graphic design did not require the classes I took at UD, the Associate in Arts Program was well worth it. The program laid a tremendous foundation of confidence and gave me a unique edge in my field. The well-rounded, challenging class schedule took me to levels in my academics I would not have reached otherwise. The blessings from the personal attention and dedication from the professors in the AAP have carried on to this day, in both my professional and personal life. The professors were both inspiring and encouraging. I highly recommend the program, and I can't thank the faculty, professors and the University enough for such a wonderful opportunity.​"